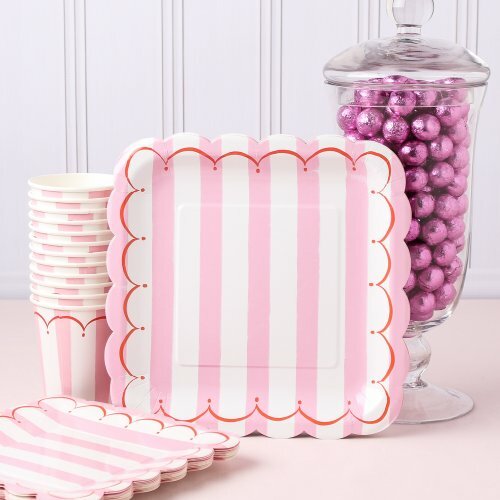 Have a stylish and happy party with these sweet stripe plates. Square, scalloped, and 9 inches in diameter, these matching plates are festive and will bring pizzazz to any theme birthday. They are ideal for a children's or adult celebration and are disposable making party clean up a cinch!